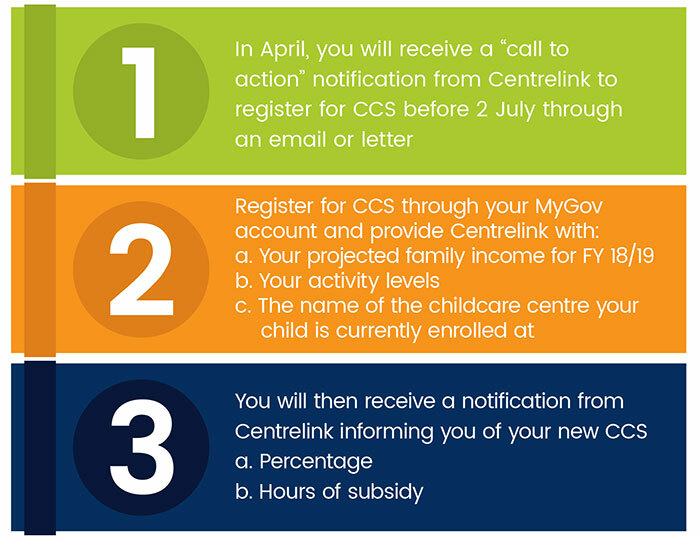 As you may already know, from 2 July 2018, the new Child Care Subsidy (CCS) system will come into effect. This will replace the current Child Care Benefit (CCB) and Child Care Rebate (CCR) arrangement and makes it easier for families to access childcare. To help Australian families, the government is injecting another $600 million a year to make childcare more affordable, accessible and flexible. In good news, many families will see their out of pocket childcare fees fall between $20 – $30 per week under this new system. All families will need to register for CCS before 2 July to ensure their subsidy is in place when the new system begins. 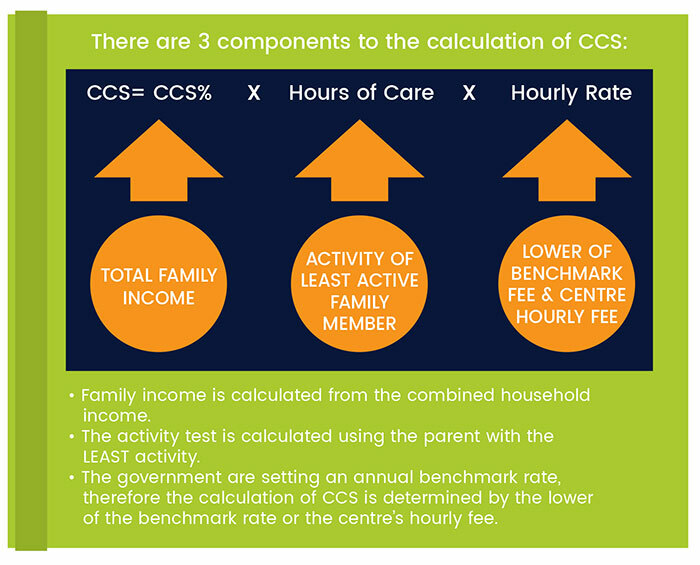 Your family’s combined income will calculate the CCS percentage you’re entitled to. Remember, you will need to contact Centrelink when your combined income increases or decreases. These tax brackets will be adjusted as per CPI every financial year. CCS is linked to how much a family contributes to the Australian economy through activity. This activity level is calculated from the parent with the lowest number of hours of activity. Under the new system, you will only be able to access the Child Care Subsidy if you are doing suitable activity and the amount of activity will then determine how many hours of Childcare Subsidy you are eligible for. Concerned you won’t have enough activity? To help families increase their hours of activity, families can volunteer at their Guardian centre – see your Centre Manager for more details. Please talk to your Centre Manager who will be able to assist you with any questions or concerns you may have. Visit the government’s website on the new system here.